The High-Payoff Selling for Sales and Marketing Program has an unwavering focus on increasing franchise value. Sales and marketing staff are equipped to educate agents to accept, understand and utilize tools and techniques to optimize agency performance thus creating an unmistakable dependency to successfully generate mutually profitable business. Consistent with our belief that behavior change occurs over time, we recommend this program be scheduled over an extended period of time, including classroom and virtual elements, to allow for reinforcement of concepts and the successful application of tools. Actual timing is dependent on client expectations as well as program design and content. In the corporate consulting space, there are countless examples of generalized marketing, sales and service training programs that are content rich, intellectually compelling… and ineffective. They tend to drift into organizations, linger briefly, and fade forgetfully away. We are an insurance-only, specialized provider. Our no-nonsense, activity-focused program sets the stage for lasting achievement. This is not an academic program nor is it conceptual or generic. It is a hands-on, practical, viable, and proven program for achieving results. 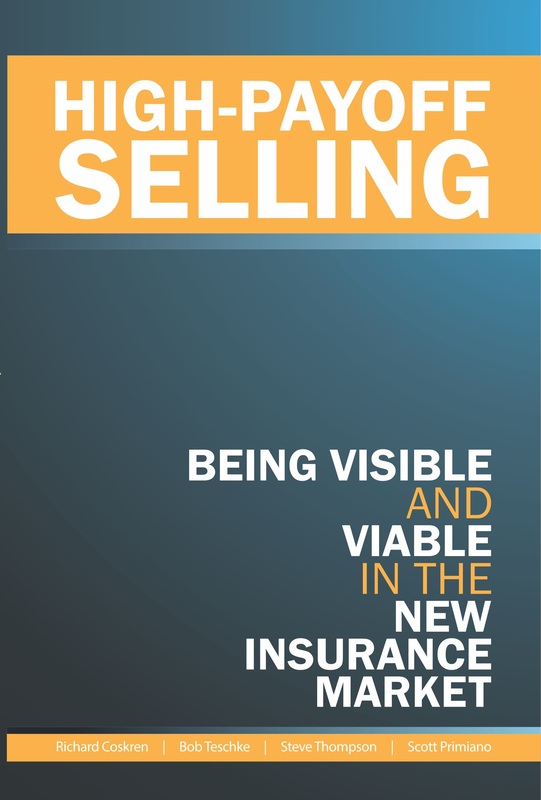 Because our High-Payoff Selling for Sales and Marketing program has been designed by and is facilitated and coached by insurance professionals who have successfully fulfilled this role while on the staff of regional and national insurance carriers, it addresses real world issues facing sales and marketing personnel. Ours is a behavior-change approach built on the concept that a coach who has the background, skill and motivation to impact student behavior will generate the change necessary to achieve outstanding results. The coach-student relationship established during the program continues long after the program delivery as a “coaching for life” resource. These simple facts are what make our programs so credible and so popular. The impact will be extraordinary.